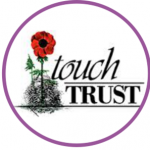 Touch Trust is a registered charity based in Cardiff, at the iconic Wales Millennium Centre. We provide unique creative movement programmes for individuals with learning disabilities, those affected by autistic spectrum disorder (ASD), complex needs, behaviour which challenges, and other vulnerable groups in the community. Health & Well-being – Self-awareness, awareness of others, communication, emotional literacy, self-esteem confidence building and motivation, thinking skills, skills in group work, cooperation, skills in presenting self to others. Language, Literacy & Communication – Communication, Speaking & Listening – different styles and purpose, range and repertoire. Mathematics & Numeracy – Ordering, Sequencing, one to one correspondence, shape and space. Humanities – A sense of awe and wonder, spiritual and moral development and a sense of morality.